The excitement had barely started to die down after the incredible victory by Jean-Luc Van Den Heede in the Golden Globe Race when second place finisher, Dutchman Mark Slats, rolled into town. It was an extremely impressive showing by the 42-year old sailor who had dogged Van Den Heede most of the way around the world. 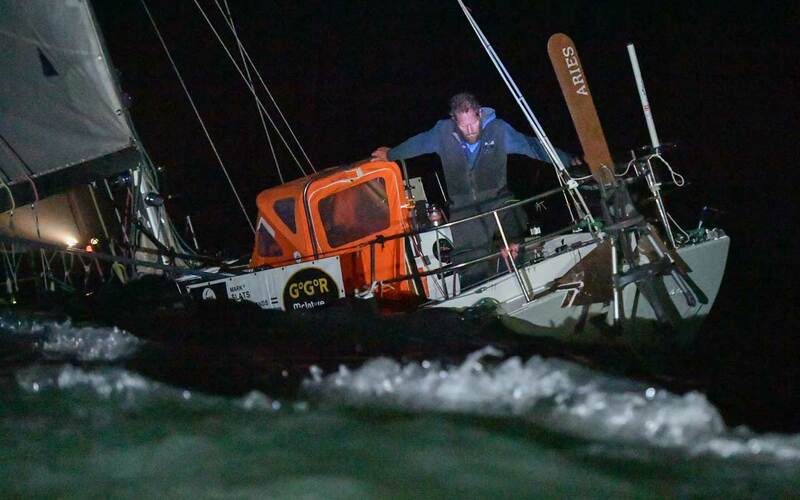 For a while there it looked as if Slats might overtake the French sailor given that Van Den Heede was sailing with a severely compromised rig, but it was not to be. Finishing just over two days astern of Jean-Luc, after 214 days at sea, is a close finish by any measure. 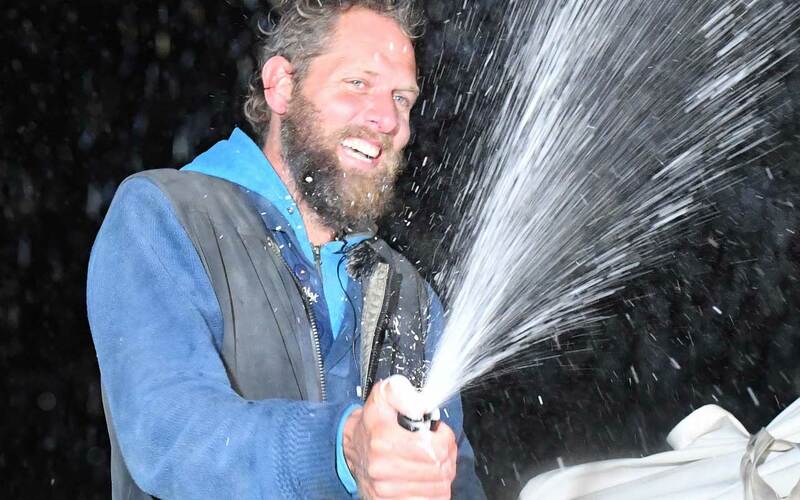 Slats aboard his Rustler 36 Ohpen Maverick received a rousing welcome from Dutch, French and British supporters there to welcome him back to Les Sables-d’Olonne on the west coast of France. Slats, a record breaking Atlantic rower, was challenging for the lead from the start, but a tactical decision to follow the traditional clipper ship route on a wide sweep round the western side of the South Atlantic High left him at a 900 mile disadvantage to his French rival by the time he had reached the Cape of Good Hope. Van Den Heede then extended that lead to 2,000 miles through the Southern Ocean before his yacht Matmut, another Rustler 36, was pitch poled some 1,900 miles west of Cape Horn damaging his mast. This gave Slats an opportunity to close the gap and by the time he rounded Cape Horn, the Dutchman had regained 500 miles, and by the time they had reached the Azores, the difference between them in terms of distance to the finish was less than 50 miles. Slats and Vane Den Heede are done but there are still three more sailors out there. Uku Randmaa from Estonia and nationalized American Istvan Kopar are in the Northern Hemisphere on the last stretch of their voyage while Tapio Lehtinen is currently approaching Cape Horn. Still a long way to go for the Finnish sailor.